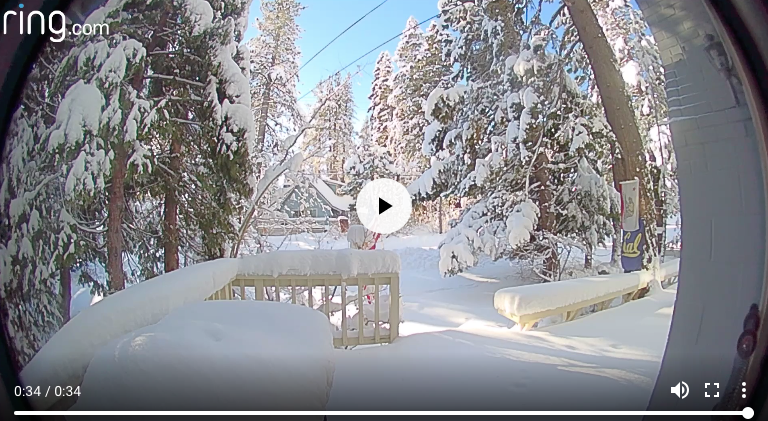 This is a screen grab of the view out the front door of our cabin on Lake Tahoe’s West Shore this morning: Bluebird skies and fresh snow. It looks like about a foot at lake level, the first measurable snowfall of the season. 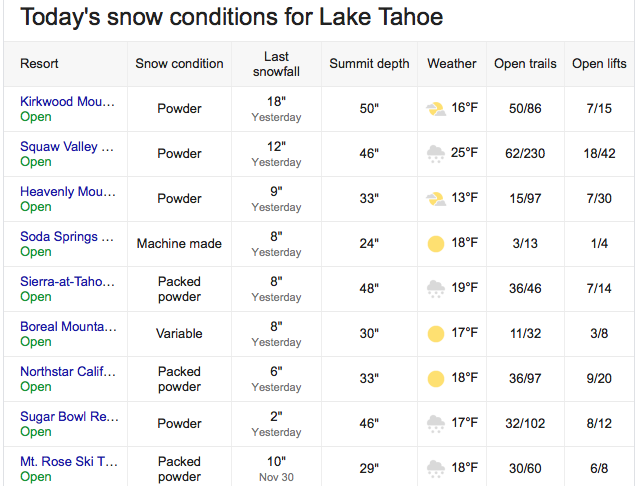 And more snow is expected this week! (The “Cal” and California State flag on the big tree managed to remain protected, but the Weber Kettle barbecue in the foreground has a foot of snow on top of it. It is time to bring out the shovels.) A short video is HERE.